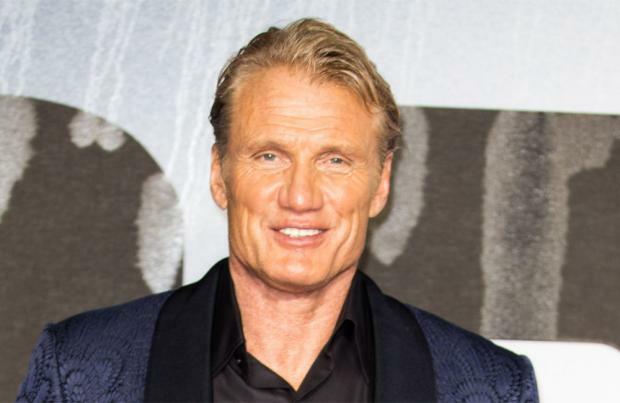 Dolph Lundgren thinks Sylvester Stallone is "up there" with Steven Spielberg and George Lucas as one of Hollywood's great filmmakers. The 61-year-old actor – who has starred alongside Stallone in the 'Rocky' franchise – has hailed the American movie star, comparing him to two of the industry's best-known filmmakers. He said: "He's a good guy, he's a very clever man, and funny and witty. "You know, because he plays these characters who don't talk much ... people think he's that way, but he isn't, he's a very smart guy. One of the smartest in Hollywood. "You don't create three franchises – 'Rocky', 'Rambo' and 'The Expendables' – by being stupid, that's for sure. "There's him and there's maybe ... who else? Maybe Spielberg has done stuff like that ... Lucas ... He's up there." Dolph has reunited with Stallone for 'Creed II' and he's explained how the new movie compares to Stallone's 'Expendables' movies. He told Sky News: "I've done five films with him. "This was a bit different because now we're on opposite sides, like in the first one. "Then we did three 'Expendables', a little more cartoonish and we're just cracking a few jokes and firing guns everywhere and running around, on boats or whatnot, helicopters ... here we have scenes where we sit down across each other on a table and have a three-page dialogue scene. "It was more being a fellow actor with another actor."